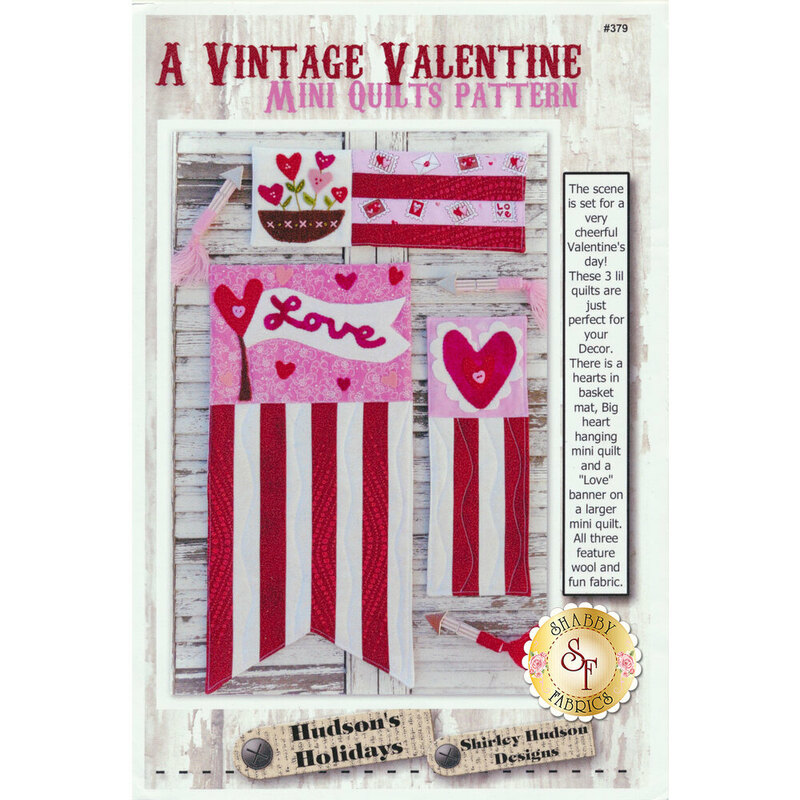 A Vintage Valentine Mini Quilts Pattern by Hudson's Holidays is a jam packed pattern including three different designs! 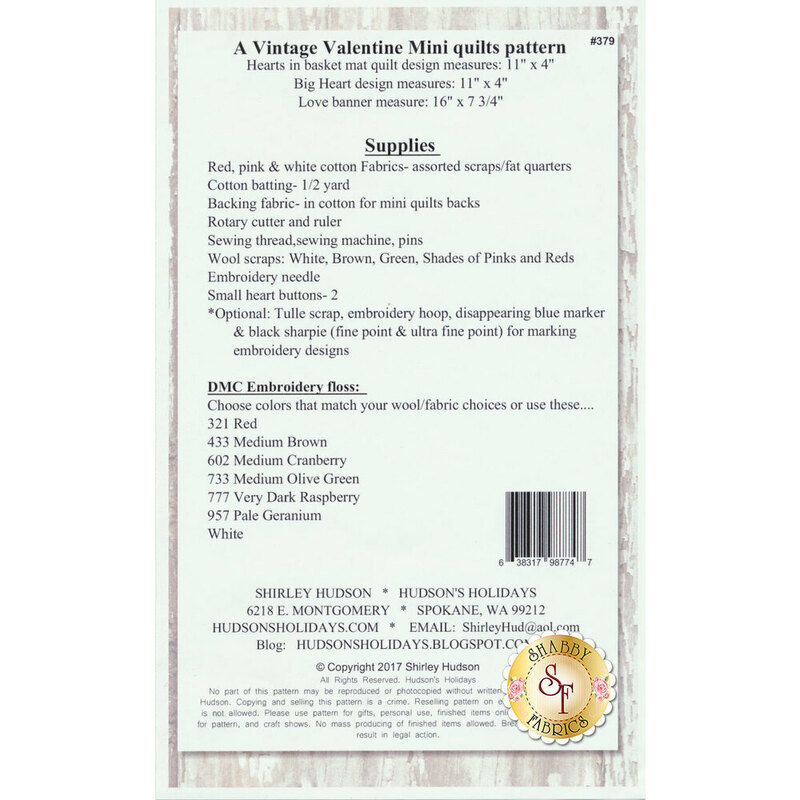 You can make Hearts in a Basket (11" x 4"), Love Banner (16" x 7¾"), and a Big Hanging Heart (11" x 4"). These projects make beautiful Valentine themed decorations for your home!